I used to travel a lot for my old job, so I have really come to appreciate portability in a makeup product. That's why I love the Charlotte Tilbury Instant Look in a Palette in the shade combo Beauty Glow. You've probably heard about this palette already, as Charlotte Tilbury is one of the most-hyped brands out there. But I'm here to tell you that this palette is totally worth the hype. It's an all-powder palette, with three eyeshadows, a bronzer, two blushes, and a highlighter. They're all of amazing pigmentation and quality, and the lasting power is as good as it gets. Even on my extremely oily eyelids (yuck! ), these shadows stay put all day without a primer (!). When applied with a light hand, the bronzer is subtle enough for skin as pale as mine--but it's also super buildable and would work well on more medium-toned skin. The highlighter is also subtle and almost impossible to overdo. The blush shades are a little funny--I often pass on blush since my rosacea usually shines through, keeping my covered on the rosy-cheeks front. The top blush shade would look amazing on darker skin tones. I personally love using it as an eyeshadow. It's the perfect warm-toned shadow. The bronzer also works really well as a transition colour in the crease. I've swatched the eyeshadow colours below for you (including the top blusher, swatched at the end, which I use as an eyeshadow). I also love using the deeper brown colour as an all-over lid colour, blended out into the crease using the bronzer. This is great for a simple, tonal, everyday eye look. In my opinion, yes! 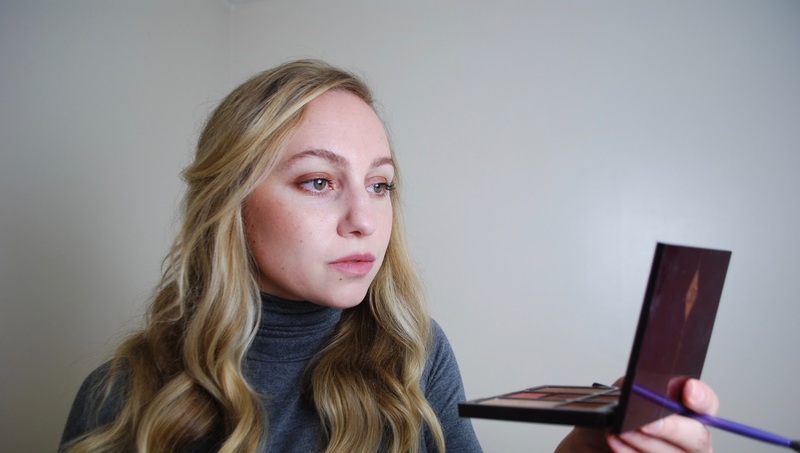 The palette is also a great way to try out Charlotte Tilbury's powder products without spending an absolute fortune. It's definitely pricy, but compared to individual sizes of her other products, it's a better deal. Here, I'm wearing the palette on eyes and cheeks. Have you guys tried this palette? What a great palette! Thanks for sharing it with us!